This is a bit of non-news currently, but certainly worth tossing on your radar to monitor as it develops. 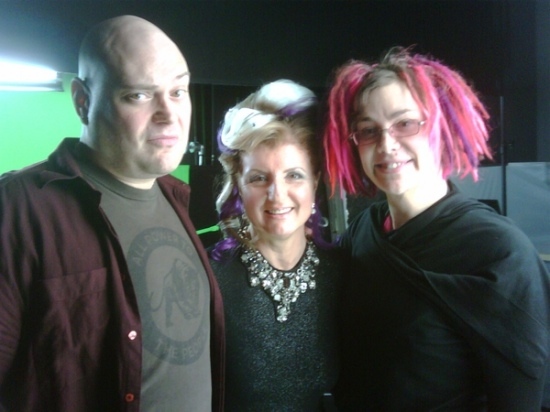 Deadline is reporting that Lana (formerly Larry) and Andy Wachowski – does this mean we should call them The Wachowski Siblings now? – have set up a sci-fi project at WB called Jupiter Ascension. The reason this is non-news is because that is where the information stops. Other than Jupiter being sci-fi and an original script from the Wachowskis, nothing is else known about the film’s story or even its scope. So there ya go. WB is hoping to start shooting this spring, but any number of things can change or fall apart by then. We’ll keep you posted if/when a cast starts to develop. Elsewhere I keep seeing the news being hailed as the Wachowskis “return” to sci-fi. I’m not really sure when exactly they left sci-fi. Speed Racer wasn’t Star Wars but I’d certainly toss that into the ol’ “speculative fiction” (as Harlan Ellison would want us to say) genre. Not to mention they are currently co-directing an adaptation of David Mitchell’s sci-fi novel Cloud Atlas, starring Tom Hanks. The siblings had been trying to break away from the genre with an R-rated film about a gay relationship between a US soldier and an Iraqi, but surprise surprise, they have been unable to get financing for it. Maybe is Speed Racer had won Oscars and made a huge profit. Otherwise, I doubt any studio is going to be eager to put money into an R-rated big budget movie about an interracial homosexual love story set against a war no one seems to like seeing movies about.